THE WLC VIKINGS HIT THE BIG APPLE! 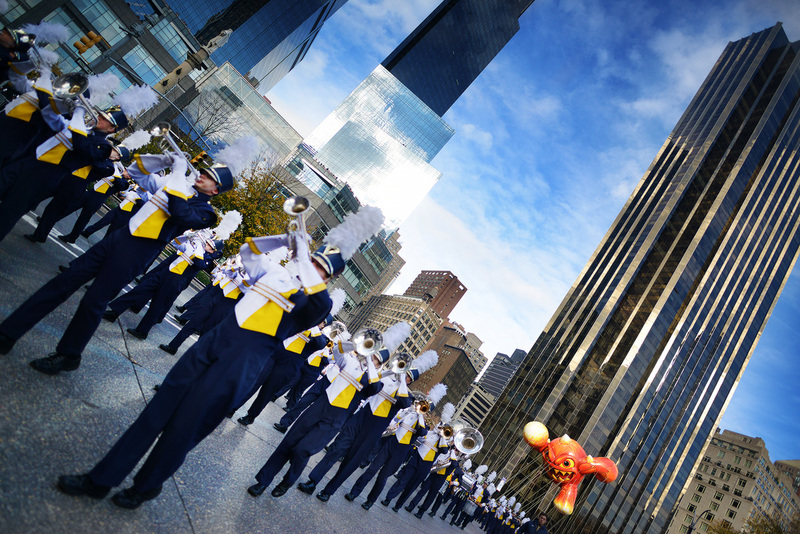 For the first time in the school's history, the Walled Lake Central Marching Band was selected to represent their school, their city, and the great state of Michigan at the ﻿2015 Macy's Thanksgiving Day Parade﻿. The surprise announcement was made by Wesley Whatley, accompanied by Ansley Brown of Macy's, Inc. The announcement was capped off by the traditional, "3, 2, 1, Let's have a parade!" cheer and a confetti celebration. The Viking Marching Band was one of ten marching bands selected out of 175 applicants. The band traveled November 22 - 27, 2015. We are proud to share photos of our team in the Macy's Parade. We are obligated to protect our children, and we require that you use a password to view the current photos on our site. Please click here to request password and we will send one as soon as possible. Thank you for your interest in the WLC Viking Marching Band! When clicking on an image thumbnail to enlarge it, the image may appear out of focus but all photos are sharp or we wouldn't have uploaded them to the website. All photos will ship out within 2 business days. Photo T-shirts, coffee mugs, photo buttons and mouse pads take 3-4 weeks since we do not do them in-house. We have extended the free video DVD offer for orders of $60.00 or more, however the free shipping offer has been discontinued.